Peas are one of our favourite ingredients! The tasty green pea has an impressive amount of nutrition. It is low in calories and contains just about every vitamin and mineral your body needs. Plus, it is SUPER DELICIOUS when combined with mint! In this recipe, we mix peas with RESTORE™ Bolivian Quinoa to make a simple meal that’s PACKED with nutrients, fibre health. This recipe requires cooked quinoa. 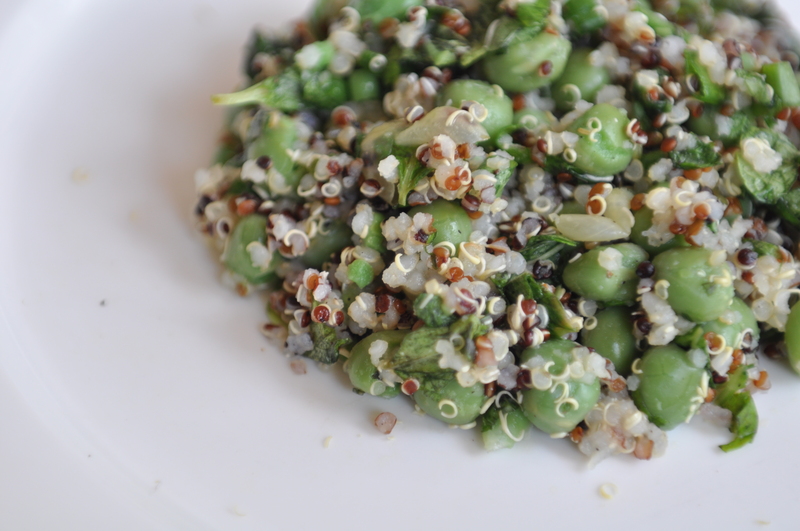 Click here to learn how to cook quinoa. You can use canned green peas for this recipe too. Remember to drain and rinse before use. Enjoy this dish with a fried egg. We hope you enjoyed this SUPER nutritious, SUPER delicious meal. 1) Chop the spring onion and mint leaves. Set aside. 2) Pour the chilled quinoa into a large bowl. 3) Add the green peas, spring onion and mint. 4) Next, juice the half lemon and add the juice into the bowl. 5) Season with a pinch of salt and black pepper (optional). 6) Grab a spoon. Serve and enjoy!